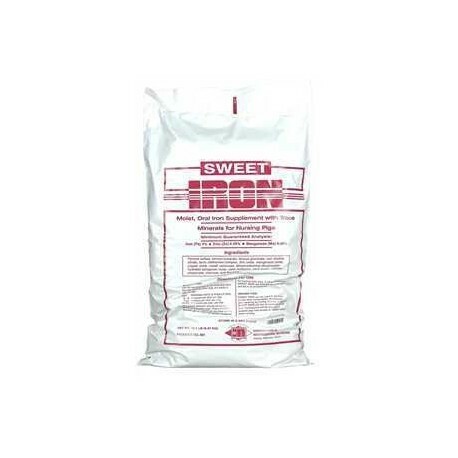 Sweet Iron is a moist, highly palatable oral iron supplement for nursing pigs. The readily consumed source of iron elevates and maintains hemoglobin levels. Start feeding Sweet Iron to nursing pigs at 3 days of age. 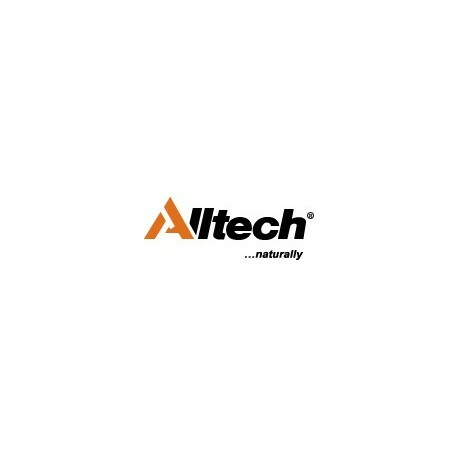 Fungal growth inhibitor. 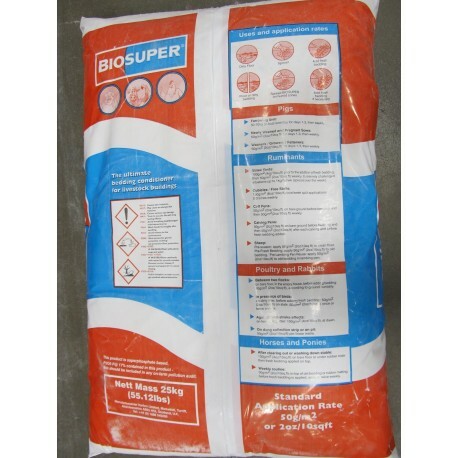 The Mold Zap, consisting of a mixture of organic acids, especially developed for use in grain and rations, which inhibits fungal growth, drastically reducing the harmful effects of fungal growth. 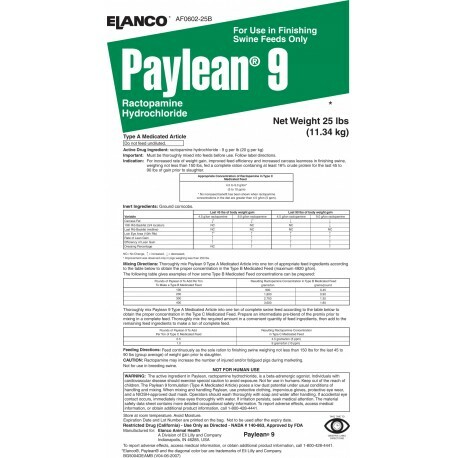 Paylean 9 is for increased rate of weight gain, improved feed efficiency and increased carcass leanness in finishing swine, weighing not less than 150 lbs, fed a complete ration containing at least 16% crude protein for the last 45 to 90 lbs of gain prior to slaughter. Must be thoroughly mixed into feeds before use. Follow label directions.